In the food and beverage industry, filtration units are often utilized for cleaning and filtering liquids. Depending on the product requirements, there are several choices of filtration membranes, which include micro-, ultra-, or nano-filtration. During the filtration process, tiny particles may deposit on the membrane surface. These particles need to be gradually removed to minimize polarization. Pumps are used for this job as they can generate cross flow velocity to aid removal. 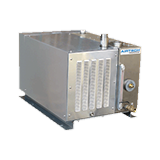 Airtech Vacuum Incorporated, we carry a comprehensive range of industrial pumps for filtration units. Food processing and beverage manufacturing entail complicated processes with a wide range of filtration applications. Winemaking, brewing, soft drink production, and bottled water production requires various forms of filtration. For example, each wine has unique characteristics, and the production team needs to customize each blending and bottling filtration solution via the use of multiple filter media options. Filtration units are designed to create and maintain great tasting result from natural processes, which involve the creation of stout, porter, ale, and lager. In addition, soft drink production often features the use of container wash water and storage tanks. Filters are needed in these cases to protect the drink ingredients. If process gases are used in packaging, they are also filtered. All in all, filtration is vital to preserving flavor and extending shelf life. Whether aseptically packaged or bottled, filtration units are needed to prevent contamination by particulates or bacteria. Why Choose Airtech Vacuum Incorporated For Filtration Units? Airtech Vacuum Incorporated’s vacuum systems have successfully supported some of the most demanding filtration unit installations since 1982. Our products are designed to deliver highly reliable, efficient, and effective solutions. In addition, they are able to operate in harsh environments including humid and wet processes. As an ISO9001-2008, UL-, CE-, RoHS-, and CSA-certified company, our team continually strives to provide industry-leading solutions for filtration unit applications. Based in Rutherford, the entire Airtech team is dedicated to helping our customers develop unique custom solutions that meet the filtration challenges you may face on a day to day basis. 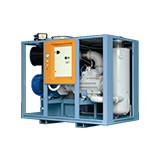 As we also offer an extensive line of ready to ship products, you will be able to procure the spare parts you need to maintain or enhance your filtration units in no time. Our sales representatives are available to provide assistance at any point of your purchasing process. Whether you wish to check product compatibility or need help determining the best products for your needs, we’ve got your back at every step of the way. Discover the wide range of options for using vacuum technologies in filtration unit applications by browsing through our inventory today!